The well known Lithuanian patriot, philanthropist and businessman Joseph P. Kazickas (1918-2014) would have turned 100 in 2018. Together with his wife Alexandra, he lived a full life and vividly recounted his experiences in his autobiography Odyssey of Hope. 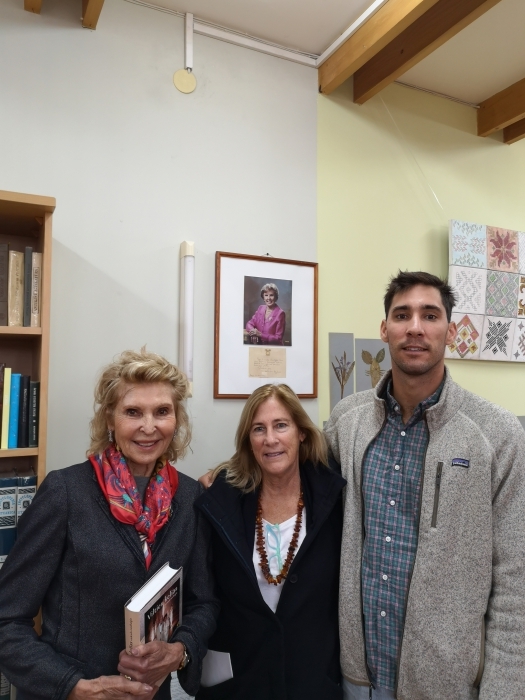 Therein he tells his life story – beginning with his birth in the tiny village of Chiornaya Padina, continuing with his years in America, and coming full circle with his joyful return to his homeland. He shares his insightful perspectives on life and the world throughout the memoir. 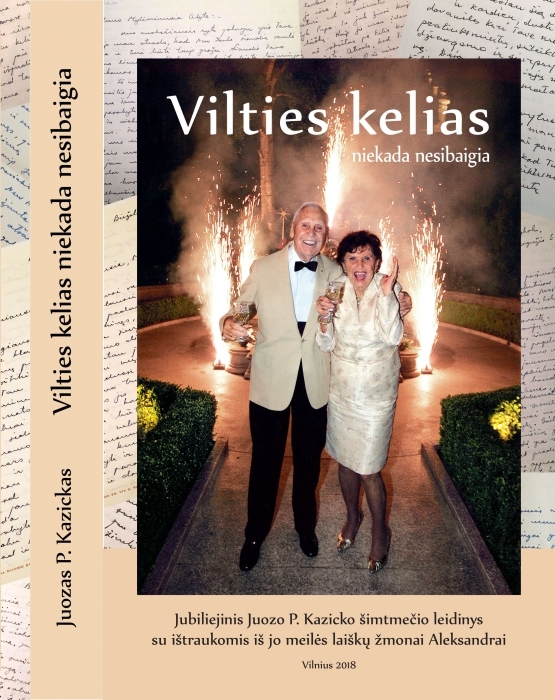 Marking this anniversary year, the Kazickas Family Foundation published a third Lithuanian language edition of the book: Vilties Kelias – Niekada Nesibaigia (Odyssey of Hope – The Journey Never Ends) updated with new material. 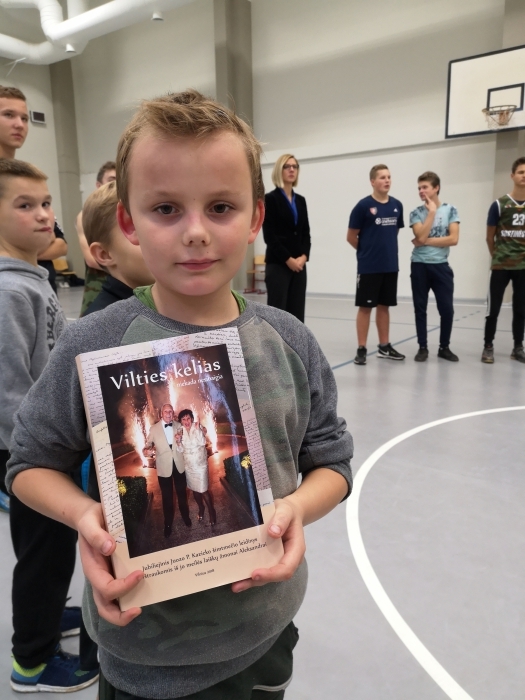 Some 100 books were donated to Lithuania's public libraries and additional copies to Lithuanian Schools and camps in the US. Fortuituosly, the centennial anniversary of this Lithuanian patriot, who always believed, even in the darkest of times, that Lithuania would once again be free, coincided with the 100th year commemoration of Lithuania's restoration. Throughout his life, Kazickas generously supported the cultural life and institutions of the diaspora. After the restoration of Lithuania's Independence in 1991, he invested his resources into building a stronger country and throughout the multi-faceted program helped promote the well-being of its people. 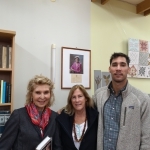 The oldest Lithuanian newspaper published outside of Lithuania "Draugas News" shares the conversation with Joseph Kazickas' daughter, Jurate Kazickas, the president of the Kazickas Family Foundation. - The third edition of the Odyssey of Hope has just been published, and it is being provided to prospective readers free of charge in Lithuania and US. Why do want this book to be made widely available, especially to young people? - The family feels that the life story of Joseph Kazickas has inspirational message for all ages. He writes about his youth in Lithuania, the war years when the Nazis and then the Soviets occupied Lithuania, the displaced person’s camps in Germany where the family spent three years until finally emigrating to the United States. Kazickas writes candidly about his business challenges as an entrepreneur and all his efforts throughout the nearly 50 years of communist control to help his homeland regain its independence. A love of reading is so essential for a person’s intellectual development and what could be more valuable than learning about someone who achieved much despite many hardships. Most of all, hes always stressed the importance of giving back, caring for others and expressing humble gratitude for all our gifts – especially the gift of life itself. His moral and ethical values are important for young people to understand and emulate. The book is also a great read! As a reviewer of Odyssey of Hope wrote: “Joseph Kazickas’ story could be a pitch for a thriller movie. Every storyline twist and turn has been rooted in his desire for a democratic Lithuania. - Could you tell us more about this special Lithuanian edition of Odyssey of Hope? What new information can readers find in it? 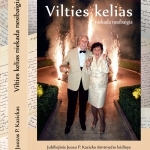 - This new edition : Vilties Kelias – Niekada Nesibaigia contains all the material from the previous two versions – the original published in 2002 and Vitlies Kelias … Po Desimties Metu - (After Ten Years) in 2013, and now includes a special section of excerpts from Kazickas's letters to his beloved wife of 70 years, Alexandra, along with new photos. Also there are new sections: an introduction as well as an epilogue of my 2017 return to Chiornaya Padina in Russia where he was born. - Where can readers obtain a copy of the book? Is it available in stores? 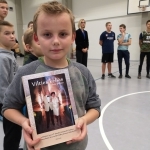 - The book was donated to all Lithuanian schools in the US and many schools and libraries in Lithuania. It is also available during the Joseph P. Kazickas Jubilee exhibition which has been traveling in Lithuania and will be coming to the United States in 2019. The exhibit features his letters, photos, awards and memorabilia. Please note this third edition is only available in Lithuanian. - Why was Vilties Kelias published in four languages? - Vilties Kelias has been published in Lithuanian, English as Odyssey of Hope (2006); in German - Wege der Hoffnung (2014); and in Russian - Oдиссея надежды in (2018). All these countries played a critical part in Joseph P. Kazickas’ life story. Please go to www.odysseyofhopethebook.com to read more about the various editions. The English version is available on Amazon.com.